Farina Presse designs and manufacturers linee complete hot steel forging lines, from design to commissioning. Flexibility and active participation in customer projects. Specialised in updating any press brand and model. Prompt service in 24 hours in Italy and 48 hours in Europe. 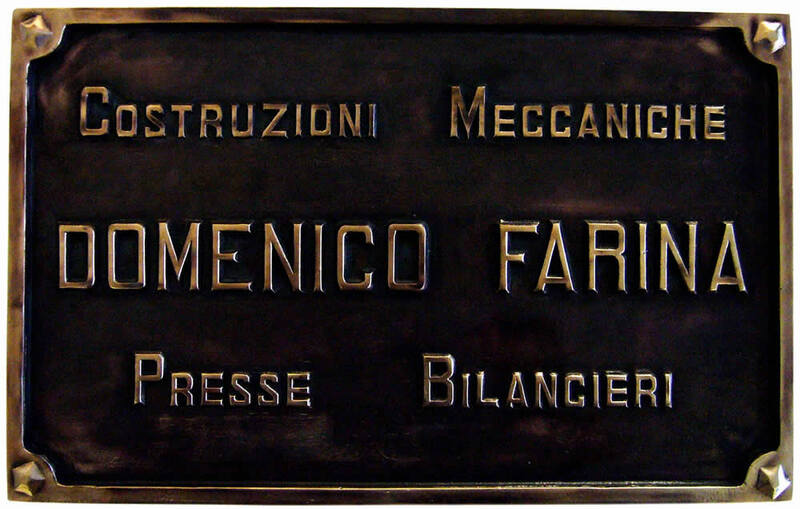 The company was established in the 30s as “Costruzioni Meccaniche Farina”, a metal cutting die construction workshop. The company grew quickly and an in-house sample press was built to test the shop’s products. The excellent results of this operation led to future production choices, starting with press production for metal cutting and forging. Press production furthered company growth which moved to a larger area in Suello over the years. With the advent of new technologies in the 70s, production shifted to hot steel forging presses: more powerful and precise. From this moment on, Farina Presse has been specialising in the production of complete hot steel forging systems. The new three-story building was built in 2004 for the engineering area. The new assembly area able to house large sized presses was completed in 2009. Founder of “Costruzioni Meccaniche Presse e Bilancieri”.